Nestled amongst the trees, this leafy hideaway boasts unrivalled elevation and magical ocean views. Only a short stroll to the beach, this character filled cottage is a unique find providing instant relaxation! 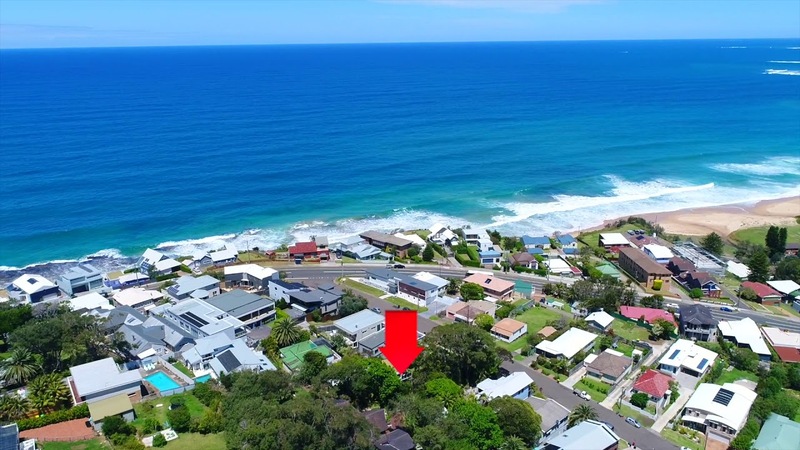 Very few homes offer such a fabulous position, centrally located within walking distance to two of the coast's most popular beaches, Thirroul Beach to the south and Austinmer Beach to the north. Austinmer Beach offers a quieter stretch of sand and an ocean pool, ideal for a quick morning swim before work. For those looking for a vibrant beach atmosphere, head to Thirroul Beach and the nearby township, bursting with boutique shops and trendy cafes. Local schools are nearby including Austinmer Public School which is a short walk from your doorstep. Or drop the kids off at school, pick up a coffee from any café along Moore Street as you head to Austinmer Train Station for your commute into work. Offering fantastic accessibility, a 20 minute drive (approx.) will take you into Wollongong CBD, whilst Sydney is just over an hour drive away. Set back from the road, a private tree-lined driveway leads you to this picture perfect abode, bursting with a beachy holiday charm. Showcasing a functional yet flexible floor plan, the home features light and airy interiors and modern finishes which evoke a relaxed coastal feel throughout. On the upper level, you'll find 3 well-appointed bedrooms which are serviced by an elegant bathroom. The open plan living and dining room features air-conditioning and integrates seamlessly with the updated kitchen equipped with quality stainless steel appliances, gas cooktop, double pantry and a stylish subway tile splashback. Encompassing a sitting room and a sunroom, the extra space provides ultimate flexibility and either room could be used as a study, an additional bedroom or a lounge. The sitting room and the master bedroom spill out onto the full-width deck and it is here where you will really appreciate the elevation that captures breathtaking ocean views. Generous in size, the deck is the perfect setting for casual dinners with friends or a relaxing spot to read a book in the afternoon breeze. Internal stairs lead you to the lower level where a carport adjoins the single lock-up garage. You'll also find a workshop with a powder room with loads of extra storage for all the toys! Perched on a prized 1,062m2 elevated allotment, the backyard enjoys a sunny northerly aspect and is surrounded by lovely established gardens. Consider the potential to extend, renovate or develop (subject to council approval) to take this home to a whole new level. Offering absolute tranquillity in a prime beachside location, this home allows you to live a peaceful and quiet lifestyle while living only footsteps to world-class beaches. Buyers and investors looking for a quality move in or rent out ready home will appreciate the value for money this property affords, in a home that allows you to escape the rat race and live an amazing beach lifestyle. Do not miss this once in a lifetime chance to own a sprawling piece of coastal paradise.